If you like reading about rock and roll as much as I do, then 2016 was a really good year. Not only were the bookshelves stocked with amazing punk rock non-fiction from the likes of Keith Morris and John Doe, but The Replacements came back into my life in a BIG way. I also discovered a few other crime writers out there who, like me, are using rock and roll as the leaping off point for their violent tales of intrigue, lust and woe. And it was another great year for music-inspired short fiction as well. Here are a few of my favs, in no particular order. Nothing’s more rock and roll than a list! There have long been theories about why this Minneapolis punk outfit-turned-critical darlings never achieved their long-predicted commercial success. Rumors of self-doubt and self-sabotage were the stuff of legend. This well-researched book sets the record straight in a way that even the most die-hard fans will appreciate. It’s hard to read this high-octane thriller without thinking of your favorite rock and roll duos—Axl Rose/Slash, Mick Jagger/Keith Richards, or David Johansen/Johnny Thunders. Creeden does a great job of wrapping this page-turner in a glittery cape of rock and roll imagery to keep the action pumping. Strong characters, a fast-moving plot, and a killer back story deliver some unexpected twists and turns. This is a dark, but fun read that you won’t be able to put down. Read my interview with Mike Creeden. This collection of overlapping essays about the first-wave of LA punk is a fascinating look at how legendary scenes are born. It’s incredible to think that a hundred kids, one apartment building and a handful of clubs gave us decades of great music from bands like X, The Germs, The Go Gos, The Minutemen and The Blasters. It goes by fast, so read it twice. A private jet powered by broken dreams, regret and self-delusion. Fame might have eluded Mickey and Al, but that doesn’t stop them from getting back in the chase—long after their expiration date. A fun, fast read that brings the 80s LA New Wave scene to life in vivid color, and explores the meaning of success through the perspective of three very different, but hopelessly intertwined characters. A great read for anybody that ever chased the brass ring down Hollywood Blvd. Read my interview with Leslie Bohem. I don’t always read comic books or graphic novels, but when I do they’re about a peepbooth worker and her punk rock ex-partner. The brutal murder of a public access pornographer puts this unlikely duo under fire from criminals, cops, and the city elite, uncovering a web of corruption that leads right to city hall. Christa Faust and Gary Phillips are two of L.A.’s best pulp and noir writers, and Andrea Camerini’s artwork in PEEPLAND is fantastic. 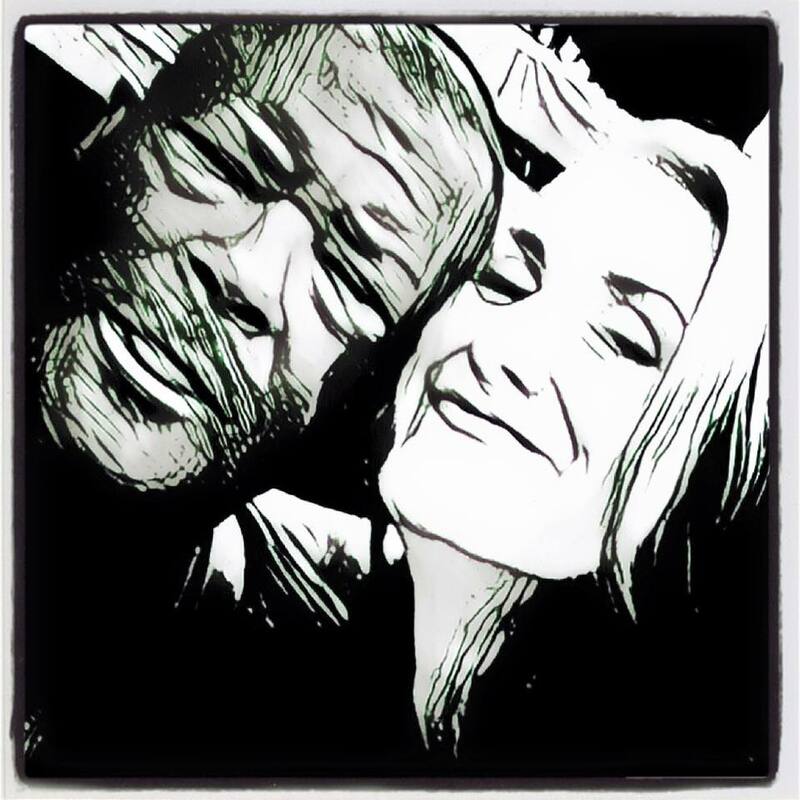 Read my interview with Christa Faust and Gary Phillips. Keith Morris is a founding member of two groundbreaking SoCal bands, Black Flag and The Circle Jerks (among others). But this well-written book goes beyond those stories to show you his winding path to underground infamy. It’s been a strange trip for this soulful punk icon, and it just keeps getting more interesting. Jim Fusilli, editor for this fantastic short story collection, starts his forward this way: “I don’t suppose it would be much of a surprise to discover that there’s a dark and deadly side to the world of popular music.” What is surprising about this anthology is the diverse talents of the contributors, including Zoe Sharp, Peter Robinson, Reed Farrel Coleman, Tyler Dilts, Bill Fitzhugh and Erica Wright—among many others. Every one of these stories hums, sings or (in the case of Gary Phillips’, “Shaderoc The Soul Shaker”) rips your head clean off. I came into the Rolly Waters series in this third installment, but had no problem getting acquainted with the character and his San Diego. This book is a romp across a SoCal desert full of paranoid outsiders and lost souls. Love the musical references threaded throughout, and Rolly’s ability to solve the action-packed case without constantly waving a gun around or punching through walls. A fast, fun read that will keep you coming back. Read my interview with Corey Lynn Fayman. Putting aside my own contribution to this anthology, Jay Stringer has assembled a truly impressive collection of crime and mystery writers including Johnny Shaw, Kristi Belcamino, Josh Stallings, Angel Colon, Jen Conley, Tom Leins, Alex Segura and Mike McCrary—among many others. Not to mention, talented contributors like Franz Nicolay (The Hold Steady) and Gorman Bechard (Director of “Color Me Impressed: A Film About The Replacements,” and “Every Everything: The Music, Life & Times of Grant Hart”). Read my interview with Jay Stringer. S.W. 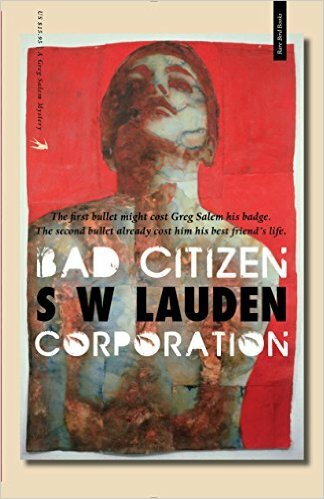 Lauden’s debut novel—about a punk rock musician turned disgraced cop—is called BAD CITIZEN CORPORATION. It was released in October 2015 from Rare Bird Books. The second Greg Salem novel, GRIZZLY SEASON, was published on October 2016. His standalone Tommy Ruzzo novella, CROSSWISE, is available from Down & Out Books. 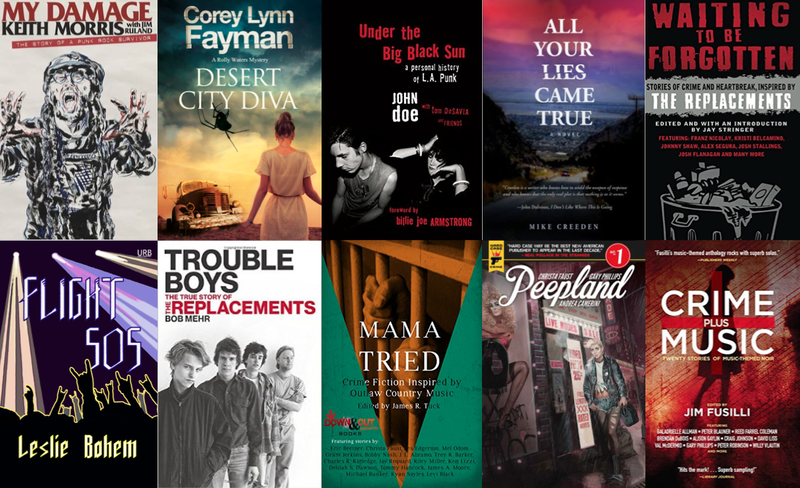 This entry was tagged All Your Lies Came Tru, Bob Mehr, Christa Faust, Corey Lynn Fayman, Crie + Music, Desert City Diva, Down & Out Books, Eric Beetner, Eryk Pruitt, Flight 505, Gary Phillips, Gutter Books, Hard Case Crime, James Ray Tuck, Jay Stringer, Jim Fusilli, Jim Ruland, Keith Morris, Leslie Bohem, Mama Tried, MIke Creeden, My Damage, Peepland, The Replacements, Trouble Boys, Waiting To Be Forgotten. Bookmark the permalink. What: Christa Faust is a crime writer, pervert and pulp enthusiast whose novels include MONEY SHOT, CHOKE HOLD and HOODTOWN. PEEPLAND is her first comic series. Born under a bad sign, Gary Phillips must keep writing to forestall his appointment at the crossroads. He was editor of the bestselling anthology ORANGE COUNTY NOIR, and co-editor of the groundbreaking BLACK PULP. Dropping the end of October from DC Comics will be his street level superhero miniseries VIGILANTE: SOUTHLAND, and his collection of short stories, TREACHEROUS: GRIFTERS, RUFFIANS AND KILLERS, is also out now from Down & Out Books. 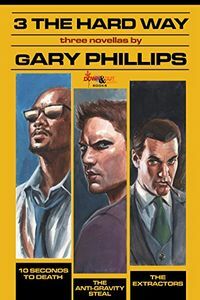 Let’s start with the obvious question: How did two established West Coast-based crime authors get involved with this neo-noir comic series? CF: Though I’ve lived in LA for more than 20 years now and love my adopted city, I still consider myself an East Coast ex-pat. I’ll always be a New Yorker at heart. Anyway, I’ve been writing for Hard Case Crime boss Charles Ardai since 2008 and have published two novels with his crime fiction imprint. He’s one of the best editors I’ve ever worked with and so when he told me he was starting a comic line, I jumped at the chance. I had this idea kicking around in my head for several years, something set in the peep booths where I worked in the late 80s. I knew that story really needed to be told through a visual medium and had considered pitching it as a TV series, but in the end somebody way more talented than me beat me to the punch with a similar concept. When this opportunity came up with Hard Case Comics, it seemed like some kind of crazy hardboiled destiny. But I’d never written a comic script before and felt like I needed an experienced tag team partner. I knew Gary had written comics and was old enough to remember those bad old days as well as I did. Plus he’s dealt with some similar themes in his own work and seemed like a perfect match for this project. He’s the wily veteran to my mouthy rookie and together I think we came up with something more than the sum of our parts. GP: I’ve talked about this elsewhere, but for me, I’d once visited New York back then as a teenager. Like a lot of folks my impression of the city was from films like “The Pope of Greenwich Village,” “Ms. 45,” “China Girl,” and “Alphabet City.” Films I’d see at the Tower Theater in downtown L.A., three in a row—be in there from early to late afternoon. Steeped in that kind of filmic lore, I had to jump at the opportunity to work with Christa to tell this crime tale of late ‘80s Times Square and its characters. This entry was tagged #amreading, #interview, #qanda, Christa Faust, comic books, comics, Gary Phillips, Hard Case Crime, New York, Peepland, Times Square, Titan Comics. Bookmark the permalink. What: Author of more than a dozen novels, a couple of short story collections, graphic novels, edited or co-edited several anthologies, and has various short stories in numerous anthologies. 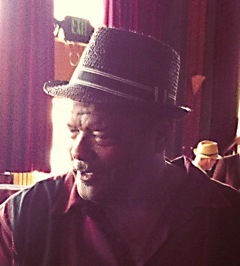 He is the former president of the So Cal chapter of the Mystery Writers of America, this year’s chair of the Eleanor Taylor Bland Crime Fiction Writers of Color grant awarded by Sisters in Crime, and current president of the Private Eye Writers of America. Your most recent release is 3 THE HARD WAY, a collection of three novellas from Down & Out Books. What is it about novellas that you like as a writer? Do you also enjoy them as a reader? Interesting that the famed (or is that fabled?) James Patterson is getting into the novella effort in a big way. Not sure this means all boats rise, but it is the case that various writers across various genres have been on the grind pumping out novellas – 20,000 to 40,000 words – for some time. This echoes the heyday of the original pulps in the ‘30s when you could buy for a dime then twenty-five cents a pulp magazine, so-called for the cheap paper it was printed on but now refers to a certain rat-a-tat style of writing, with superhero-type characters such as Doc Savage, the Golden Amazon, Captain Future, the Shadow and so on. Each would have a lead feature said to be a novel-length tale, usually 40,000-50,000 words, plus several short stories. 3 THE HARD WAY then is in that vein. Two of the stories are more pulpy, action-adventure oriented, and the third is crime fiction. As a reader to me a novella gives you just enough story to dig in for a while but the demands of the form mean less extraneous matter and more charging ahead. Though that is not to slight characterization. I like novellas too as that might mean for a series character you can put out three or four of them in a year. Or if the finances lined up, why not once a month like back in the day? No one has done that quite yet, but I would think that’s coming. This entry was tagged #amreading, #amwriting, 3 The Hard Way, Bouchercon 2017, Down & Out Books, Eleanor Taylor Bland, Gary Phillips, Hollis P.I., interview, los angeles, McBleak, Mystery Writers of America, Peepland, Private Eye Writers of America, Sisters In Crime. Bookmark the permalink.